We are committed to offering high quality parts at a great price. 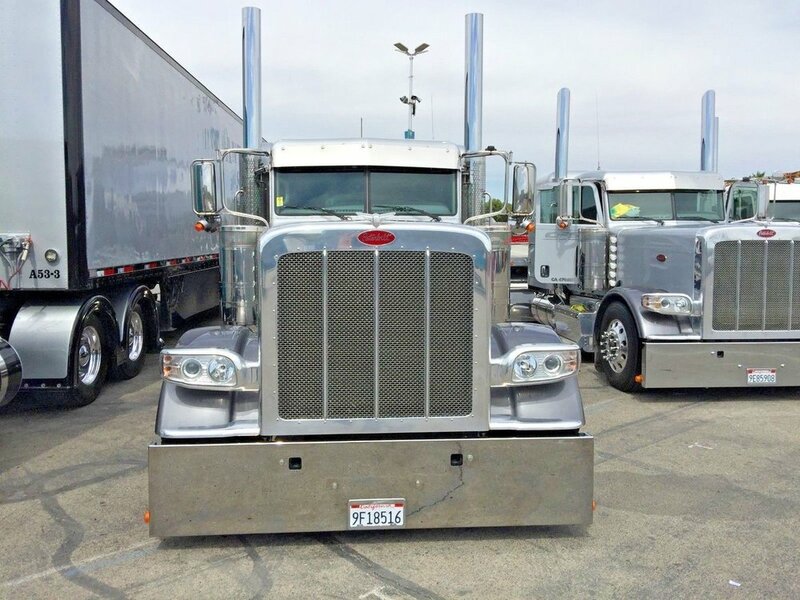 We offer grills and exhaust stacks for most truck makes and models, including Peterbilt, Kenworth, Prostar International, and Volvo. We distribute parts from several manufacturers including Tracto Bull, PTP, and Exflex. Below are some of our best selling, products, but we offer many more parts and accessories which are reachable through the main navigation tabs. As your chosen truck parts distributor, your satisfaction is our upmost priority. Our top stacks, spools, and elbows are of superior quality and can be purchased individually or as part of and Exhaust Kit. Our top stacks include Chinos, Curved, Flat Tops, and Mitred/ Texan styles. We have dimensions to fit any of your needs. Our selection feature bumpers for most truck makes and models, and come in a variety of styles. These include Box End, Roll End, American Eagle, and American Eagle L8. We also offer universal bumpers that fit Peterbilt, Kenworth and Freightliner. We offer grills and fly screens for most truck makes and models. As with all of our products, we provide high quality parts, at competitive prices.